I was craving Mexican food like crazy today. While out shopping with my daughter and friend Jenny, we decided to stop for a Mexican lunch only to find out that the restaurant was closed. 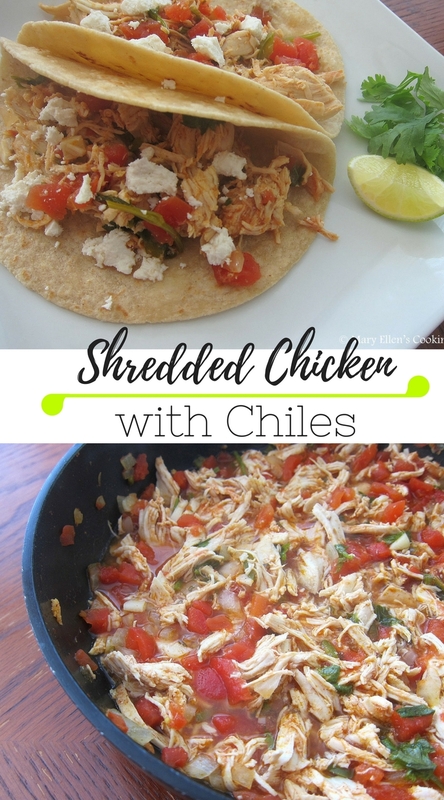 With Mexican still on my mind by dinner time, I decided to whip up some shredded chicken for tacos. I poached the chicken in water, broth, and spices, then shredded it and let it simmer with chiles and tomatoes. Lime juice and cilantro added some brightness for a fresh and light summer dinner. Place the chicken in a pot. Dump in the spices and cover with water/broth. Bring to a boil then let steadily simmer until done (internal temperature of 170, about 15 minutes). Transfer chicken to a cutting board to let rest for 5 minutes, then shred with 2 forks or use your KitchenAid stand mixer to shred (beater attachment, 1 min on low speed). Heat olive oil in a deep saute pan. Add onions, garlic, and chiles. Saute 3-4 minutes. Add Rotel, juices, chicken broth, cumin, chili powder, and lime juice. Bring to a simmer. 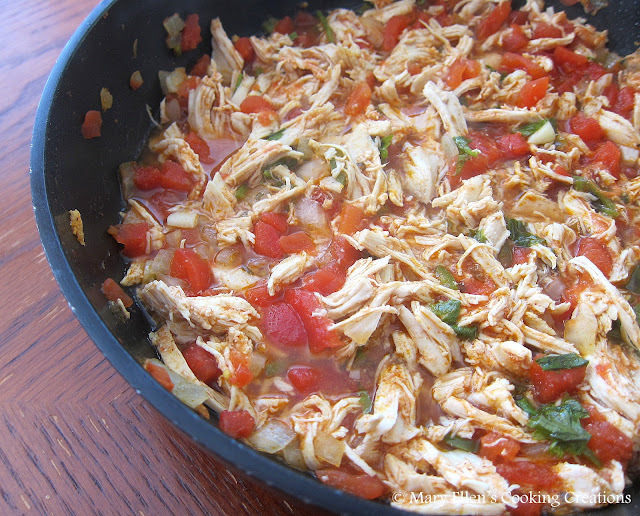 Add the shredded chicken and cilantro. Simmer on low until ready to eat. To serve, heat the tortillas in a nonstick pan or on a griddle surface 20 seconds per side until soft and pliable. 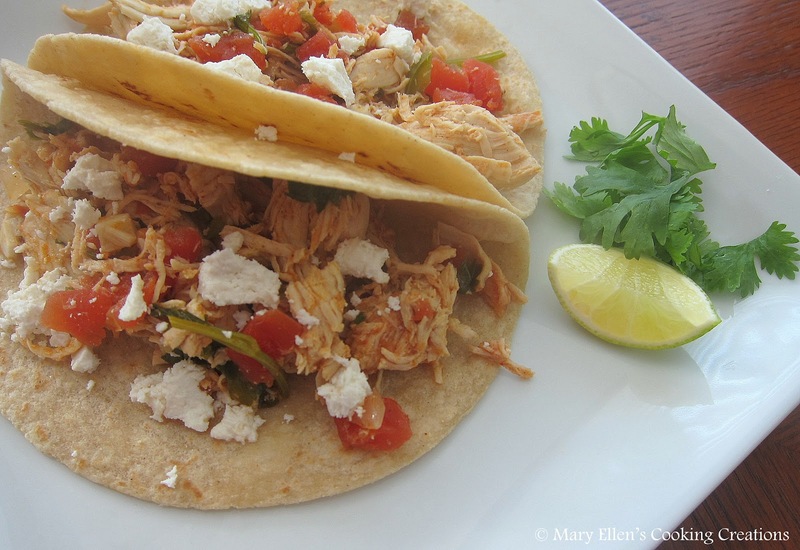 Spoon some of the chicken mixture into the center of a tortilla and top with crumbled fresh cheese. Serve with lime wedges and cilantro to taste.